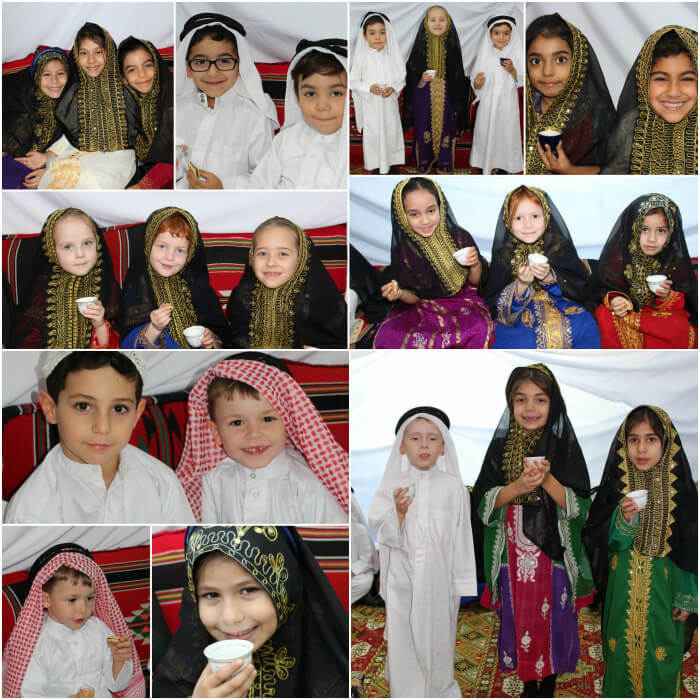 During the last week of November, all Year 1 children had the opportunity to attend an Arabic Coffee Morning in our Y1 majlis. 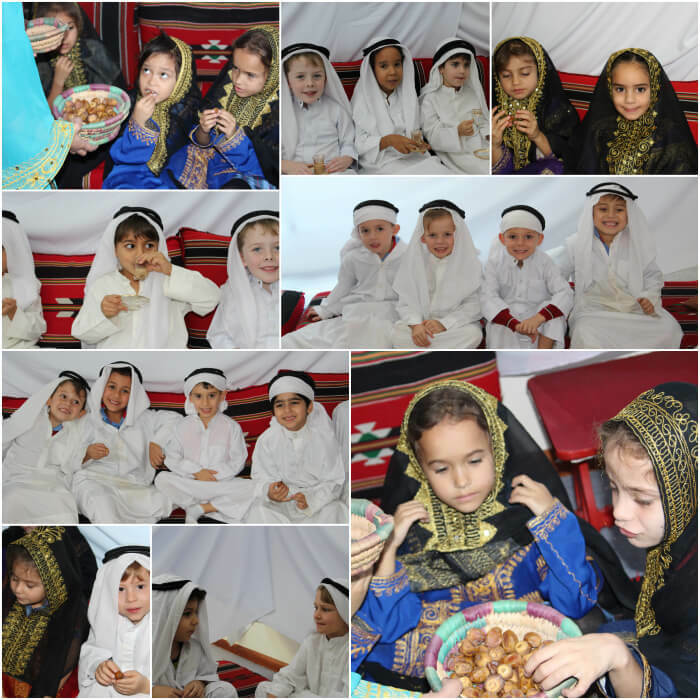 Arabic and non-Arabic children all had a great time, drinking (very small) cardamom-coffee and chai and tasting delicious, sticky dates and meltingly gorgeous garaiba sweets before washing hands in rosewater and smelling some perfumed bakhoor. Boys looked handsome in their thobes, gaffiya, gutra and agals. The girls were beautiful in their bokhnaqs and jalabiyas. Everybody enjoyed the morning and learned much about Arabic customs. Many of our Arabic pupils reflected on how they enjoyed sharing their knowledge and understanding of their culture with others.